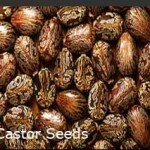 Castor seed prices dropped by Rs 20 to Rs 4,650 per quintal after traders liquidated holdings amid a weak trend at the physical markets. At the National Commodity and Derivative Exchange, castor seed for delivery in September contracts slipped by Rs 20 or 0.43 per cent to Rs 4,650 per quintal, having an open interest of 69,330 lots. In a similar way, the delivery for the October contract eased by Rs 19 or 0.40 per cent to Rs 4,749 per quintal, with the business turnover of 31,790 lots. This entry was posted in Castor Seed Futures, Castor Seeds _ Market and tagged castor seed futures by Gayathri. Bookmark the permalink.